The high-quality, gravity fed Birko meat slicer with stainless steel baldes capable of slicing a variety of foods is perfect for small and medium commercial operations. Categories: Meat Slicer, Birko, Counter Top. 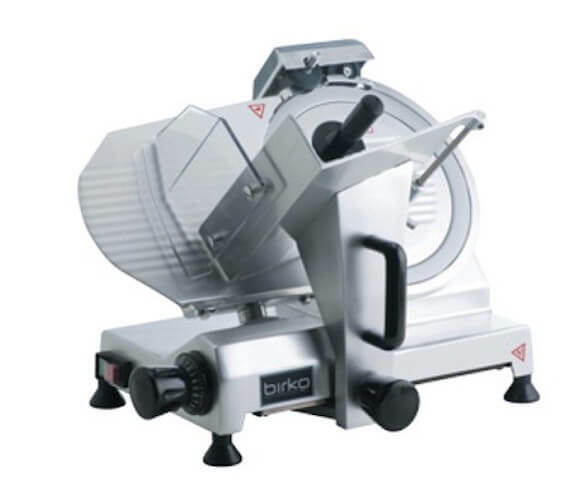 The high-quality, gravity fed Birko meat slicer with stainless steel blades capable of slicing a variety of foods is perfect for small and medium commercial operations.